Earth, ground or hum loops, are only a problem for inadequately-designed electronics. I can say that because, up until the mid-1980s I only knew how to design such inadequate electronics! But since then, I have been designing electronics properly to work in real systems and installations just as well as they work on a test bench. The solution is to provide high levels of common-mode rejection of the necessary frequency ranges, on all inputs and outputs that could connect to long cables. A great many electronics products are designed to work well on a test bench, but don’t work so well when faced with real life in systems and installations: potential differences in the ‘grounds’ or ‘earths’ across a site at the mains power frequency (50Hz or 60Hz depending on where you are in the world) and at its harmonics and interharmonics. These potential differences appear as common mode (CM) voltages between one part of the safety earth/ground structure of a system or installation, and another part. These CM noise voltages drive ‘earth/ground potential equalising currents’ in any conductors that interconnect earthed/grounded equipment in separate locations. In general, the greater the separation of the two locations, the greater the CM ground/earth potential differences between them, and the greater the potential equalising currents that flow in their cable screens and other conductors. In modern systems and installations, the increasing use of variable-speed motor drives is increasing the levels of harmonics and interharmonics in the mains power distribution, and hence in the CM earth/ground potential differences, up to ever-higher frequencies (1MHz or more) so we need good CM noise rejection over that frequency range. From 150kHz we need CM rejection for the radio frequency interference picked up by long cables from an increasing number of wireless sources, up to 6GHz at the moment (for Wi-Fi) but going even higher in future. Because an increasing amount of electronics is being added to vehicular systems operating on DC supplies, and because hybrid and electric vehicles are increasing DC power consumption, our electronics may need to cope with DC (0Hz) CM noise voltages and their resulting currents. This is also an issue for the increasing number of server rooms operating from 48VDC instead of AC mains power. Normal electronic test benches only test the functions of a circuit, using differential-mode (DM) signals. But because the real world of systems and installations contains CM noises from DC to 6GHz we need to design CM rejection for that range, and we also need to test that CM range on our electronic design/development testbenches. 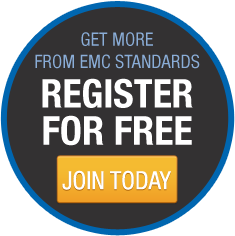 No need to visit an EMC test lab to do these tests! If the electronics suffers from ‘ground loop noise’, but I don’t have control of its detailed electronic design; my preferred approach is to use the Parallel Earth Conductor (PEC) techniques described in IEC 61000-5-2:1997 “Good EMC Practices in Cabling and Earthing”. An extension of the PEC approach to deal with CM noise frequencies above 100kHz or so is to use a MESH-CBN approach (also described in IEC 61000-5-2) over the whole site. If it is impractical to mesh the Common Bonding Network (CBN) of an entire site, I would apply the MESH-CBN approach to an ‘island’ comprising the new electronic equipment being installed. Examples of such ‘electronic islands’ include: a new server room in a legacy office building; a new robotic manufacturing cell in a legacy factory; a new sound/video/lighting control suite in a legacy theatre or opera house; a new operating theatre, intensive care ward, diagnostic scanner in a legacy hospital, etc., etc. The PEC and MESH-CBN approaches are described here and here, but my training course (which is not free) is always kept up to date. My approach to the MESH-CBN approach is to ensure that the mesh dimensions remain well short of any structural resonances right up to the highest CM frequency that needs to be controlled between the items of equipment, either within their dedicated ‘island’, or over the whole site. This creates a conductive structure that maintains low CM voltages over the MESH-CBN’d area/volume, but only up to the frequency defined by its design. I have had some truly spectacular successes with this approach, and no negative results, including achieving 5x lower beam noise on the Diamond Light Source Synchrotron www.diamond.ac.uk at the instant of its first switch-on, than had ever been achieved by any other synchrotron in the world (even when they had spent 6 months or more modifying their systems to get lower noise). I have had many other successes with this approach, including this one. If I can’t use IEC 61000-5-2’s MESH-CBNs or PECs for some reason, then I prefer to convert the signals to use a fibre-optic or wireless communication medium (instead of one that uses conductors). If this is impractical, I will use isolating transformers for digital or analogue signals. Sometimes the most practical solution is to add isolating power transformers instead, despite their large size, weight, and cost, for example the 700kW crane motor drive described in EMI Story (Banana Skin) Number 618. I am not very fond of isolating signal converter ICs because they generally increase the levels of CM noise, sometimes by a very large amount. However, many electronics designers assume they are the cheapest solution (before they have discovered the EMC problems they create! ), so I have often had to work with them – my least preferred option for dealing with earth/ground loop noises. 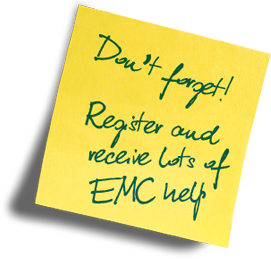 All the above issues are covered in my regular EMC training courses, which you can purchase here. Single-point/star earthing/grounding was the approach used to make it possible to use the cheapest possible electronics, in the days when radio broadcasting and radiocommunications were as near-future as 5G is as I write this. Even the word ‘electronics’ was hardly commonplace. In those days, vacuum tubes were being used to amplify audio frequencies in those new-fangled ‘talkie’ cinemas, and ground/earth potential equalising currents, being at low audio frequencies, interfered directly with the audio signals – hence the alternative name: ‘hum loops’. Rather than use properly-designed amplifiers which rejected the ‘hum’ noises, it was found that removing all the earth/ground/chassis/frame/etc. connections from a system except for one could remove the objectionable hum noise. So we ended up with so-called single-point/star earthing/grounding, and the increased safety risks of fire and electrocution associated with its inevitable single-point-of-failure have resulted in many avoidable deaths and injuries over the decades, and avoidable property damage and financial losses too. Other than safety concerns, the problem that has increasingly afflicted single-point/star earthing/grounding is that it creates earth/ground structures that are highly series-inductive, making them less effective as frequencies rise. And when frequencies rise high enough, its conductive structures (usually wires) become effective resonators and ‘accidental’ radio transmitting/receiving antennas. For example, a 30m long earth/ground cable, braid or busbar, has a partial series inductance of about 30 microHenries, which means it has an impedance of 9 mΩ at 50 Hz, 0.9 Ohms at 5kHz, 90 Ohms at 500kHz; is an effective antenna for picking up and/or radiating electromagnetic fields at frequencies above 1MHz, and is a perfect resonator/radio antenna at 2.5MHz, 5.0MHz, 7.5MHz, 10MHz, …….etc., etc. Most electrical/electronic designers seem to assume that anything called ‘earth’, ‘ground’ or ‘chassis’ is some kind of perfect ‘potential-free’ conductor at any frequency – a gross misconception caused by the children’s version of electricity/electronics that is taught in schools and universities (I’ll have a blog on this soon!). It should be clear from my very brief description of a 30m long conductor above, that no kind of single-point/star earth/ground structure could ever perform as such designers expect an earth, ground, chassis, etc. to perform.